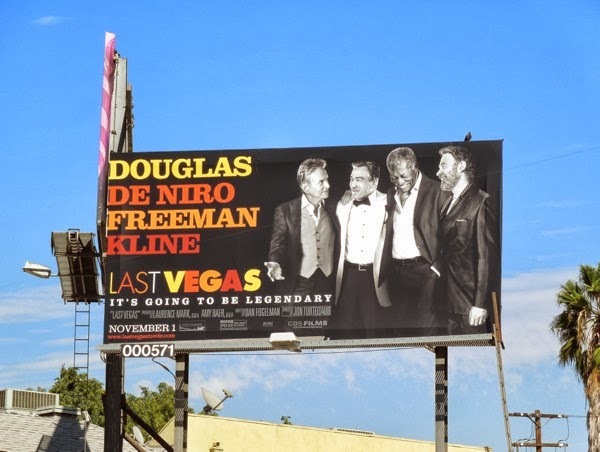 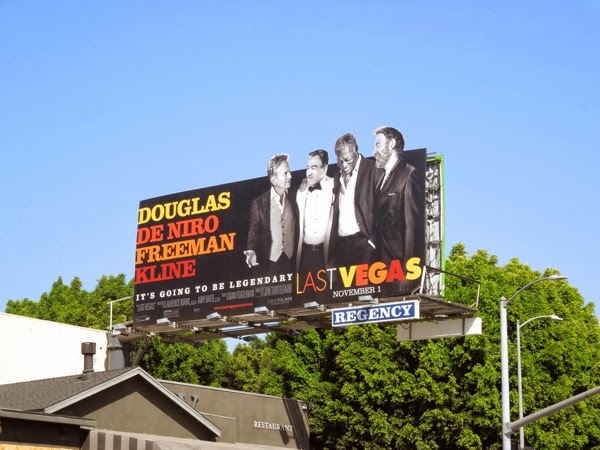 These billboards for the new movie Last Vegas certainly capture that 'Rat Pack' feel, with Michael Douglas, Robert De Niro, Morgan Freeman and Kevin Kline headlining this aging buddy comedy about three sixty-something friends who take their last single pal to Vegas for his bachelor party. 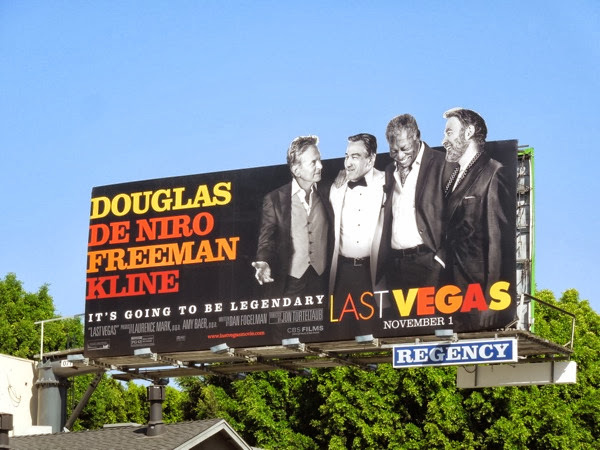 It sounds like this is going to be The Hangover for the older generation, so no wonder it's going to be legendary (especially as this all-star cast are all Academy Award recipients). 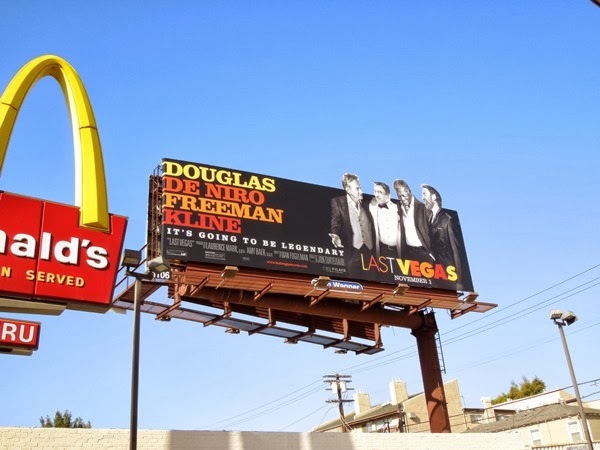 The billboard creative itself could almost be an advertisement for the 'Four Tenors' or a similar act performing in Las Vegas, so it all fits nicely with the theme of the movie, and the special extension design really helps to catch your eye. 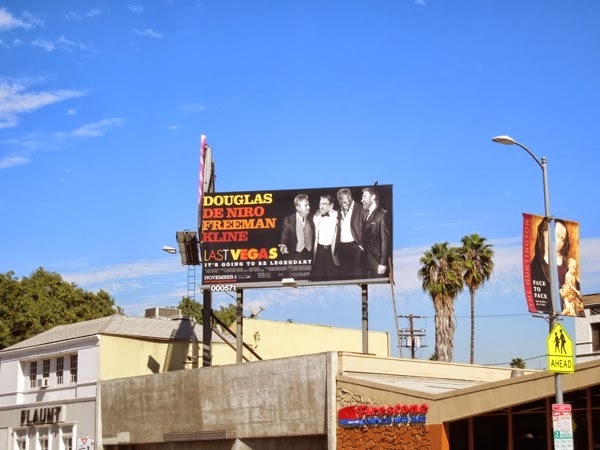 The special extension billboards were first spied along Santa Monica Boulevard and Sunset Boulevard on October 4, whilst the smaller ad creative was spotted along Highland Avenue on October 7, 2013. 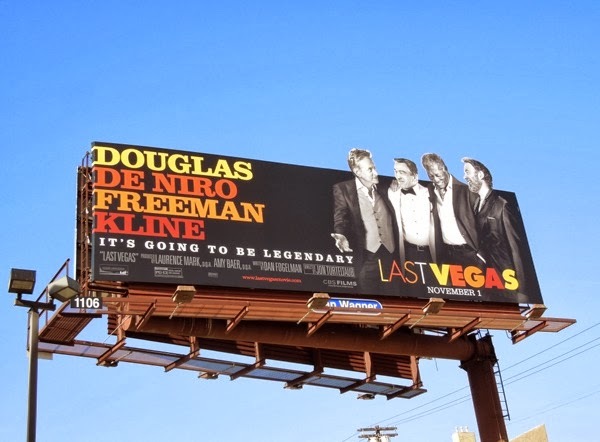 Michael Douglas recently won an Emmy for Best Actor for his portrayal of legendary entertainer 'Liberace', so be sure to check out these billboards for Behind the Candelabra, take a look at Robert De Niro in The Family movie billboard and Morgan Freeman in these billboards for Oblivion.